No one likes obsolete tech – unfortunately, the speed at which technology advances these days, it’s impossible not to find ourselves reaching for the next new PC, gadget or gizmo just after we’ve made a pretty sound investment that we hope would otherwise stand the test of time. The sad fact is, not everything lasts forever – but there’s little reason to start throwing away or cashing in your older machines and technology simply because they’re no longer the quickest nor the most reliable. 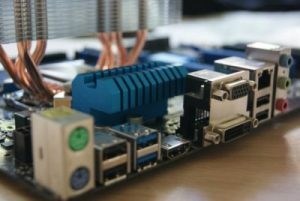 Why waste your time worrying about a PC or laptop that fails to work properly when you could invest in repairing or even upgrading your tech? Why is repairing and upgrading your tech better than replacing it? Here at Tech CPR, we consult on and help with a huge range of different repairs, tune-ups and upgrades – meaning that it’s our job to really help you get the longest possible life out of your machine. For our money, there’s little reason why you should ever cling onto a PC or laptop that’s simply not doing its job properly. You should seriously consider repairing, patching or revving up your system before you splash any major cash on an entirely new piece of kit. Surely it makes sense to see if you can save money by patching your existing gadgets before you go ahead and make any further investments? From issues with speed to general reliability, graphics, audio problems and more besides, we have a huge range of parts, tools and of course – good old expertise – to fine-tune any old school machine into an all-singing, all-dancing. You might want to transform your clunky desktop PC into a lean, mean, gaming machine – and why not? You might not be getting the graphical capabilities you need from your PC – kick things up a gear! You might be struggling to load your laptop up at all these days – give it a whole new lease of life with Tech CPR and you could well find yourself using a machine that’s on par with the best of the newest in tech on the market right now. Even if you have damaged your laptop screen or are finding that your PC won’t boot up at all, we’ll be more than happy to take a close look for you and to try and find a worthwhile solution which sets you on the path to speedy, productive PC use. Never give up on an old machine – there’s a huge amount we can do to bring even the ricketiest of units back to life, meaning that all it could take is a quick visit to our specialists. Feel free to bring your tech into store for an inspection and a quote – and we’ll get your PC or laptop booked in for an MOT it may be in sore need of. Don’t let your old PC or laptop squander – bring your tech to Tech CPR Ltd for upgrading and repairs today. Call us on 01246 452319, drop us an email or pop in store for more details!